Twelve tales of terror recommended by the master of the genre! This episode it’s conference report time! We’ve just returned from Through a Glass Darkly, an M.R. James conference which brought together authors, academics and fans in ghost-haunted York for a 2-day Jamesfest of epic proportions! Conference organisers Paul M. Chapman, Theresa Dudley and Mark Jones, who told us about how the chance discovery that M.R. James visited York in 1898 sparked the inspiration for the conference. Writer and regular Ghosts and Scholars contributor Mark Valentine, who presented on M.R. James’s scholar protagonist and what they tell us about James, his life and audience. Writer John Reppion, who had just presented on the challenges of adapting ‘Ghost Stories of an Antiquary’ for the graphic novel form. Author Helen Grant, who presented the fascinating true story of Father Reinhardt, the Steinfeld monk who travelled to England to view Steinfeld’s missing stained glass windows, the whereabouts of which was revealed in ‘The Treasure of Abbott Thomas’. Professor Darryl Jones, who told us about his exciting plans for the first full-blown M.R. James biography for over 30 years! The podcast also features Will and Mike’s thoughts on the rest of the conference, including walking in the footsteps of M.R. 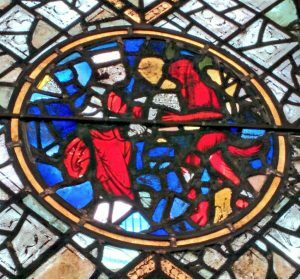 James for a stained glass tour of two York churches, and performances from Robert Lloyd Parry and Patrick Smith. You can learn more about all the people we mention at the Friends of Count Magnus website.